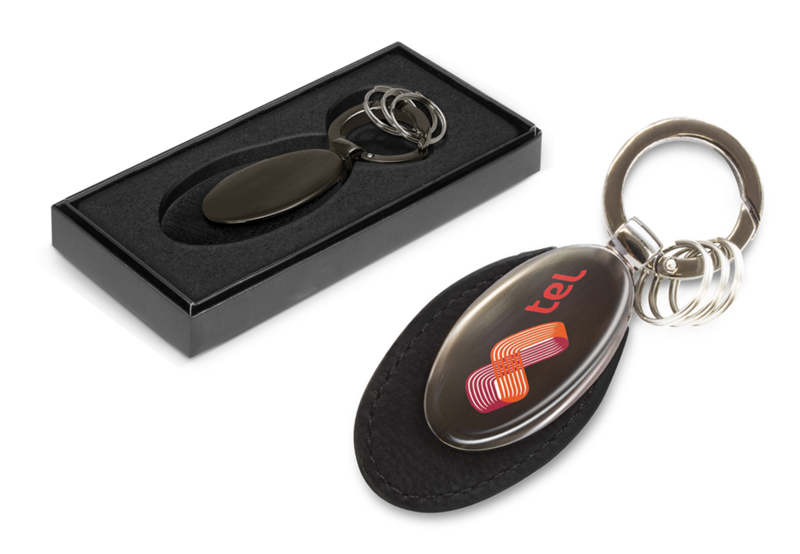 Those handy personal items called key rings are an essential accessory that everyone uses. 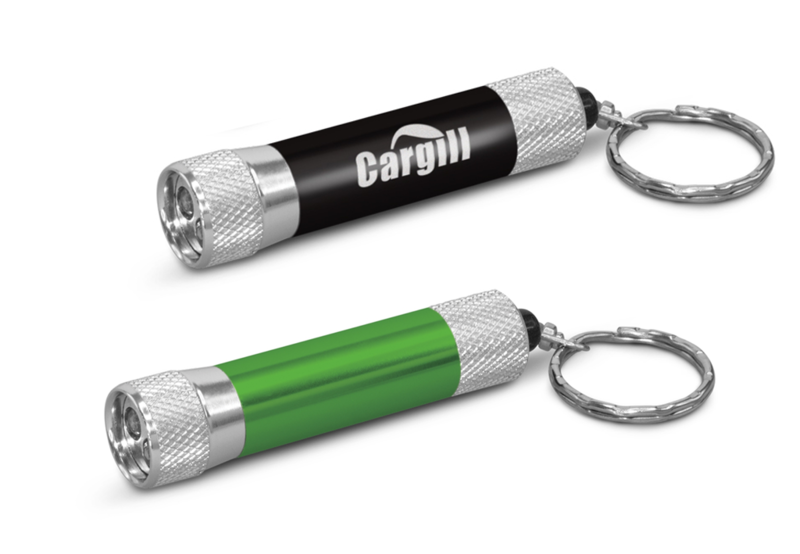 There are plenty of options to choose from such as bottle opener key rings, key lights, floating key rings, custom design key rings and novelty key rings so it is important to choose the right ones to reflect your company or the promotional campaign you are conducting. Your contact details will be seen every single day! 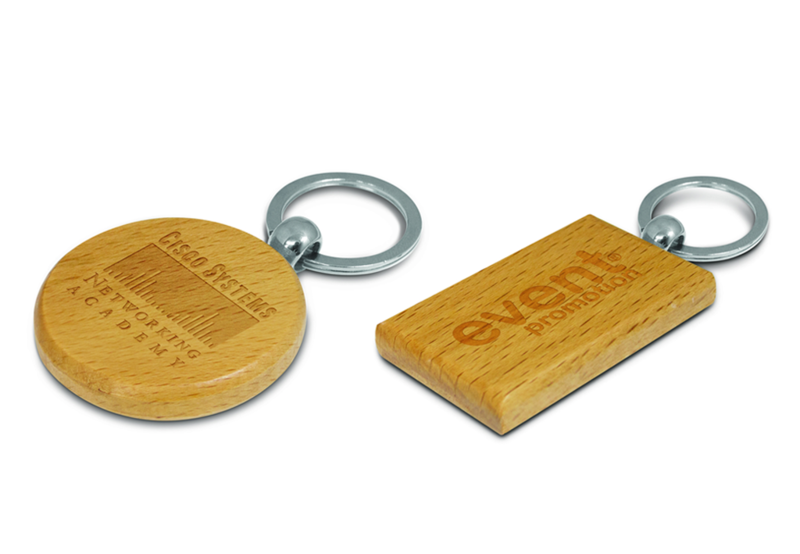 The most common materials used in the manufacture of branded keyrings are wood, plastic, metal, flexi resin, PVC and leather. 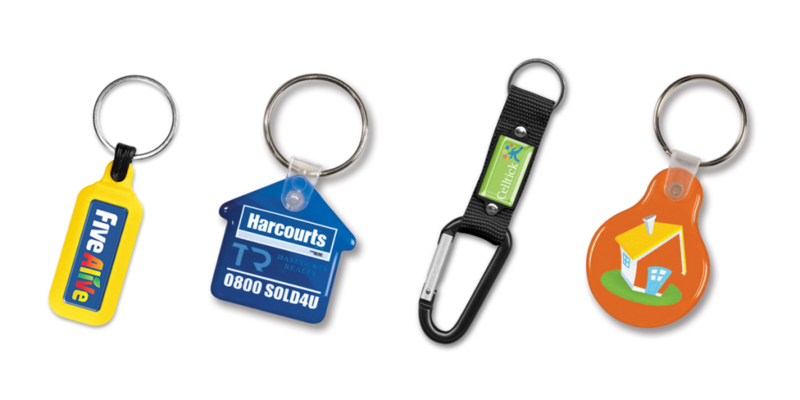 The branding process will depend on which type of material the keyrings are manufactured in. The branding processes offered are pad print, laser engrave, direct digital & resin coated. Pad print: One of the most popular & affordable ways of branding products due to its ability to print multiple colours in a single pass. Full colour direct digital print: Can be used to produce both spot colour & full-colour branding on flat surfaces. Laser engrave: Produces a permanent natural finish that becomes part of the surface. It has a higher perceived value than other forms of branding. However, different materials produce different effects when engraved so to avoid uncertainty pre-production samples are recommended. Resin coated finish: It is produced by printing the artwork onto a vinyl material with strong adhesive on the reverse. The branded area is coated with a crystal clear resin and once dry the finished decal is applied to the product and the adhesive forms a permanent bond. This process is ideal for producing vivid full-colour images as well as spot colour branding. It produces a stunning 3D effect that elevates the perceived value of a product.